Overwhelmed by all the dining options at Disney World? 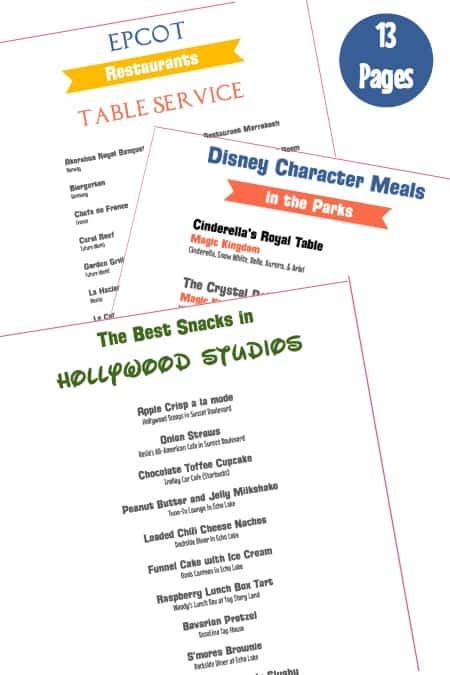 Want to be able to quickly find the best snacks in each park, character meal locations, and where to find all park restaurants at a glance? Then this printable bundle is for you!